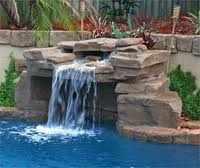 BIG KAHUNA POOLS, SPAS AND MORE INC.
Water features are a great way to add the sound of running water to your outdoor oasis. This is a great way to help you relax and enjoy your outdoor area. There are many options that are available; rock waterfalls, raised wall waterfalls, deck jets, laminars, woks, overflowing basins, the options are endless..... Many of these are also available with lighted features as well. 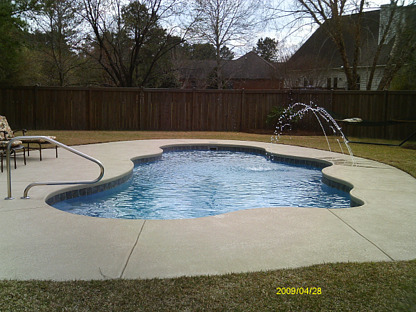 © 2015 Big Kahuna Pools, Spas and More. All rights reserved.